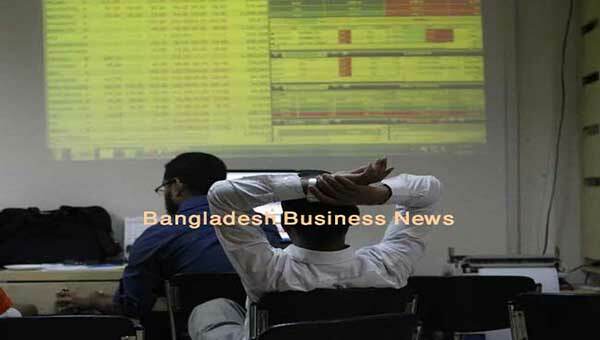 Dhaka, Bangladesh (BBN) – Bangladesh’s stocks returned to the red on Wednesday, breaking a two-day gaining streak, as many investors sold shares to get profit while some observed the market carefully. 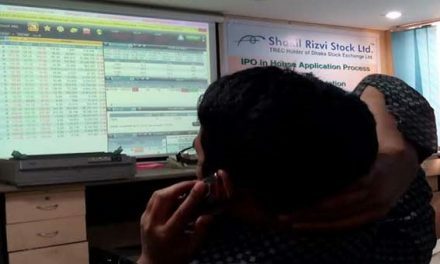 Analysts said small investors were cautious about fresh exposure to the market, while institutional investors continuously injected money into stocks amid ongoing earnings declaration session. 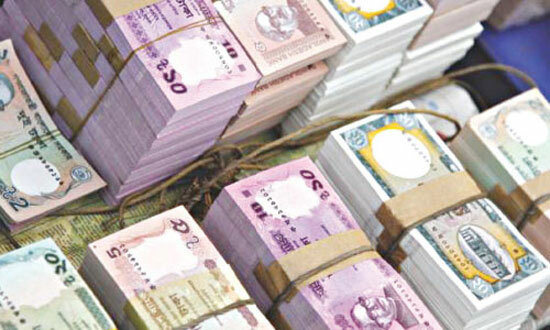 After volatile movement of the DSEX, the prime index of the Dhaka Stock Exchange (DSE), which replaced the DGEN in four-and-a-half-year back, settled at 6,025, advancing 6.46 points or 0.11 percent over the previous session. 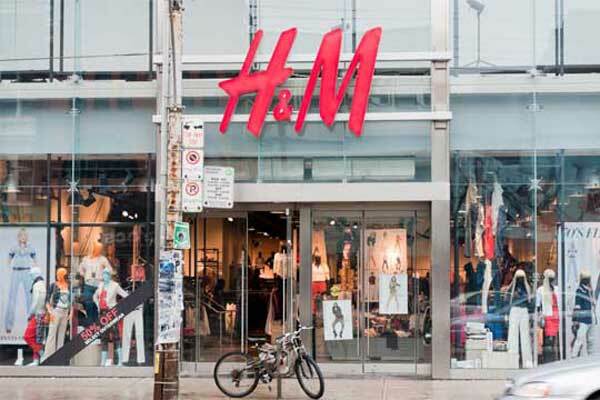 The DS30 index, comprising blue chips also fell 3.62 points or 0.16 percent to close at 2,178 points. However, the DSE Shariah Index (DSES) advanced 2.06 points or 0.16 percent to finish at 1,328. 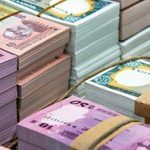 Turnover, the most important indicator of the market, came down to BDT 5.28 billion, which was 14 percent lower than the previous day’s turnover of BDT 6.15 billion. 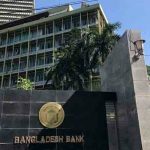 Banking sector kept its dominance in turnover chart, capturing 24 percent of the day’s total transaction, followed by financial institutions with 13 percent and engineering 11 percent. A total number of 0.118 million trades were executed in the day’s trading session with trading volume of 137.13 million securities. The total market capitalisation of the DSE stood at BDT 4,061 billion which was BDT 4,058 billion in the previous trading session. Gainers took a modest lead over the losers as out of 331 issues traded, 155 closed higher, 141 closed lower and 35 remained unchanged on the DSE trading floor. Aamra Networks topped the day’s turnover chart with 1.51 million shares of BDT 157 million changing hands, closely followed by Brac Bank, ICB, Uttara Bank and LankaBangla Finance. 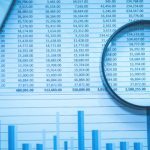 Wata Chemicals was the day’s best performer, posting a gain of 9.96 percent while Information Services Networks was the day’s worst loser, plunging by 6.98 percent. 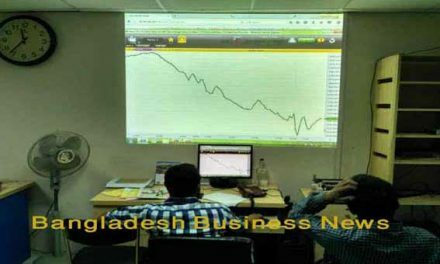 The port city bourse Chittagong Stock Exchange (CSE) also edged lower with its Selective Categories Index – CSCX –losing 8.95 points to close at 11,308. Gainers beat losers as 115 issues closed higher, 96 closed lower and 32 remained unchanged on the CSE. The port city bourse traded 9.51 million shares and mutual fund units worth BDT 264 million in turnover.